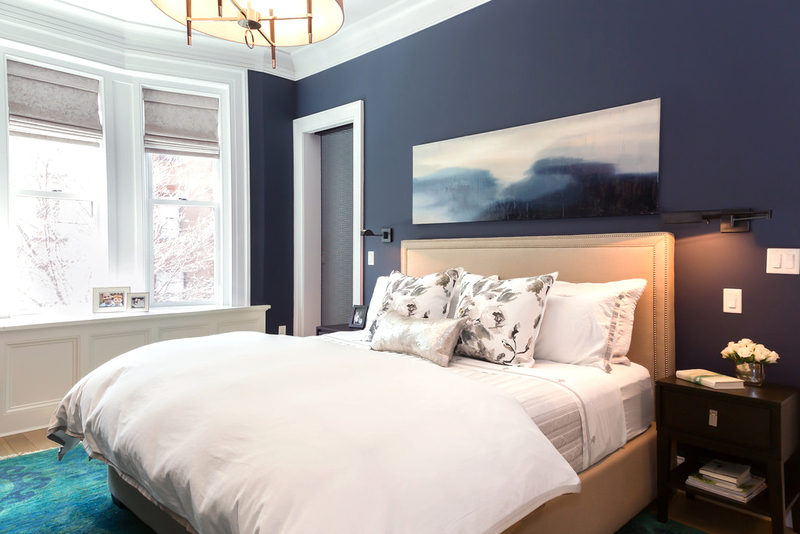 We know that renovations can be a daunting, albeit exciting, moment in our lives. So many possibilities, so much inspiration to source from (thank you Rue and Pinterest!). But even though this is something we always dreamed of, when the occasion presents itself, we can feel stuck or frustrated. 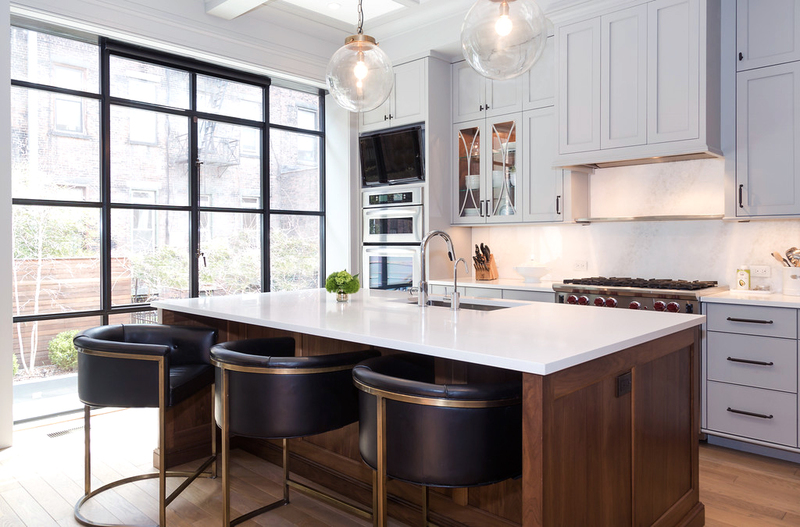 That’s why we are featuring this gorgeous brownstone renovation in Hoboken, NJ (right across the Hudson River from New York) and asked its creator, Jennifer Marsh, of Mowery Marsh Architects, to take us through a few inside details on the process. 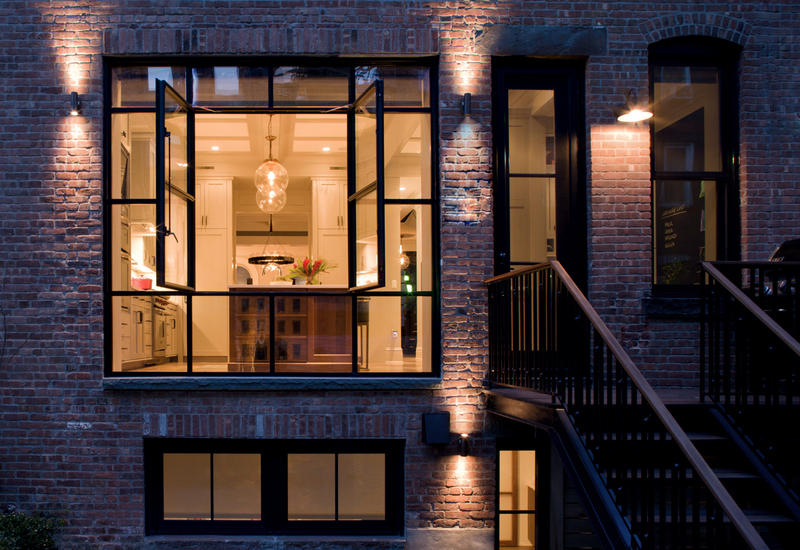 What was the brownstone like when the clients came to you? It was 3-family house with an apartment on each floor and lots of small rooms. It had some period details which we were able to salvage, for example the front vestibule panelling, stair rails, and fireplace mantels. But given the chopped up layout and poor condition of the walls, trim, doors, and floors… we ended up gutting most of the finishes and interior framing so we could maximize the layout and flow of the house for a single family use. Did they come with ideas or did you walk them through the inspiration process? The initial steps of the process are some of the most important so that we can create spaces that work for our clients and improve their day to day lives. We never want to look back and think we missed an opportunity so allowing time for initial planning is critical. The first step is listening… We ask all our clients to prepare wishlists that can range from very specific items such as ‘I’d like double wall ovens because I love to bake’… to more experiential requests such as ‘I love to have my coffee and read the paper in the sunlight’… because who doesn’t! We try to pull out those types of bigger ideas from our clients to go beyond the limitations of what a client can imagine. What would be one thing you wish clients’ knew before getting started on a home renovation? That HGTV isn’t reality because renovations can’t be done in a week! Beautiful homes you see in print take a long time to design and execute. There are a ton of very important decisions to be made that you’ll be living with for a long time and cost a good deal of money. As a society we are used to getting things immediately but good design and a quality construction process don’t work that way. If you try to rush decisions or plow ahead without all the information, inevitably you will be disappointed with the outcome. We pride ourselves in being efficient to keep things moving and stay on track but we take the time to keep clients informed so they can make educated decisions every step of the way. This home’s interior architectural and decor style seems to be quite popular – how would you describe it? We don’t go into a project thinking about a particular architectural style but rather look at images the client finds appealing and then integrate that into all design decisions so we arrive at a cohesive style. We are careful to keep elements simple and refined to give a room a sense of calm but with just enough detail to add texture and a traditional comfort to the rooms. 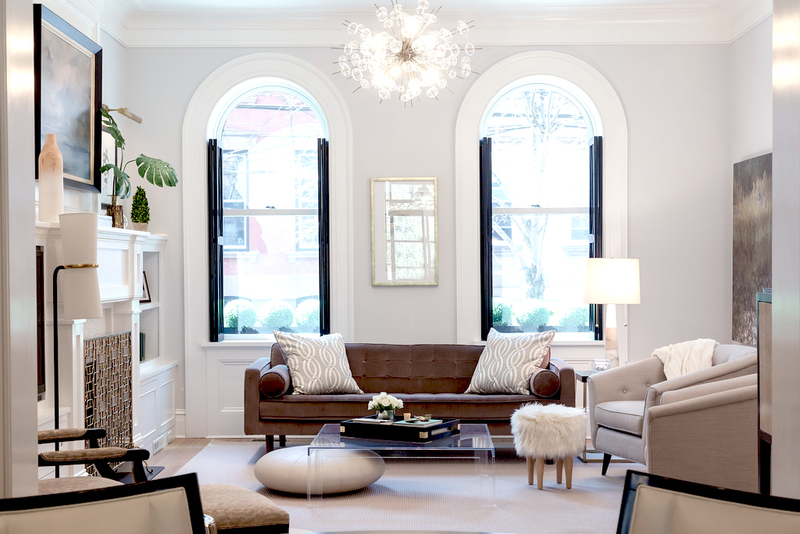 As for the decor, the homeowner had a great sense of style and implemented these same concepts using furnishings that have clean lines along with layering textures and varying materials. You mentioned on your blog that you lowered the ceilings a bit to create a feeling of a larger space. What’s your theory behind this and what guidelines would you suggest in terms of layout and ceiling height? There is no rule of thumb for ceiling heights per se, it often depends on other factors such as existing conditions or costs for new construction. But we do like to play with varying ceiling heights to change the overall feeling of a space or create an experiential transition. 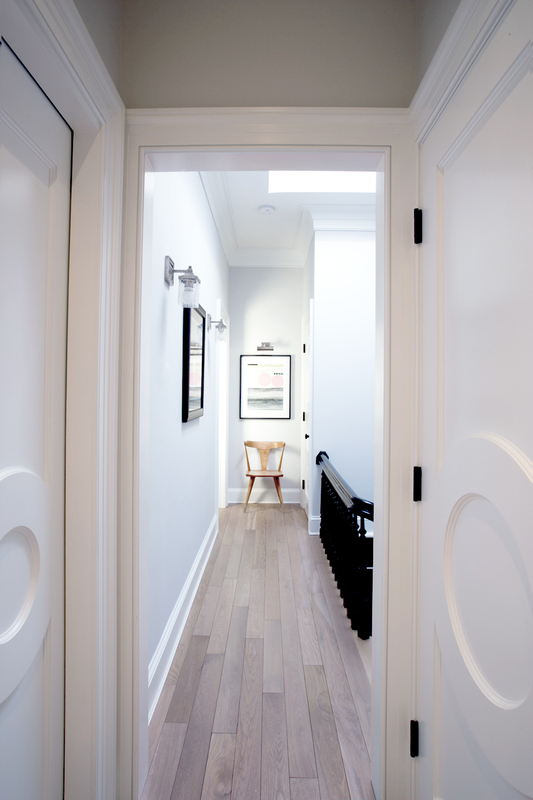 For example if you compress a hallway, it might make the next room you enter feel more spacious and grand. People generally like taller spaces but sometimes if a room has a small footprint a higher ceiling can feel awkward. We have to consider each room and what works spatially and then make adjustments. If a ceiling feels low we might clad it in wood or apply trim panels to make it another important surface. Or if a ceiling feels high we might put in a picture rail to bring down the scale to personal level. It all depends on the space! What is your go-to material that you like to use in your projects? Insulation! Probably not the fun answer you were looking for but it’s what makes these spaces ‘feel’ amazing. Walls are more solid with sound insulation and the envelope is so tight that you block out air pollutants and sound while creating a cocoon of thermal comfort. Not only do the spaces look cozy and comfortable, they feel it too. For finishes and fixtures we try to select sustainable materials that will wear well and are cost affective. 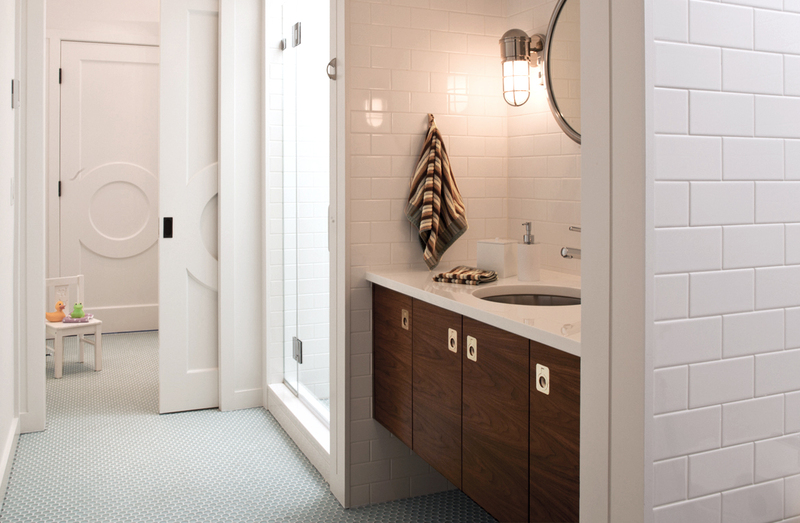 If I had to pick a go to palette… smoked white oak floors, white subway tile and walnut cabinets. When looking for a property to renovate, what should our readers look for? A good architect to help you understand if the property has the potential to meet their needs and whether renovations would be with their budget. 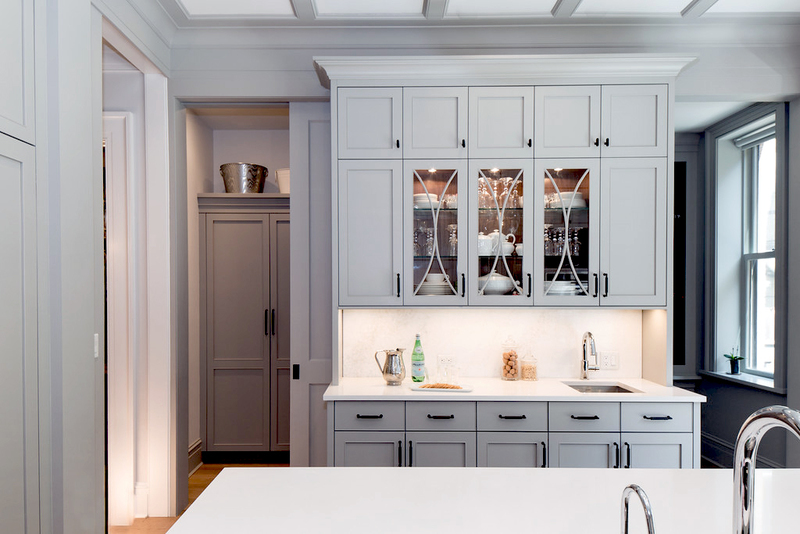 What’s the most important thing to keep consistent when remodeling and designing a home? Stay true to your own aesthetic and style and carry it throughout, so whether your in the bathroom or the kitchen it feels like your home. Architecturally we establish a ‘language’ with the trim-work, window types, and door designs that is consistent in all the spaces. You can also do this with the more additive elements such as the lighting, plumbing fixtures, hardware, etc. Where can renovators really save on money and where should they splurge? People can get caught up in the bells and whistles on a house when creating their dream home… Keep it simple to save. Splurge on the quality of the materials so they can stand the test of time. Things like stone, natural wood, and un-laquered metals will age more gracefully with a house. Where as a high end professional range will inevitably need repair and maybe that’s not practical if you are getting take out most nights of the week!? Thank you Jennifer for giving a few tips and insights into renovations. If you guys want to follow the process of this home’s makeover more closely you can read it here!